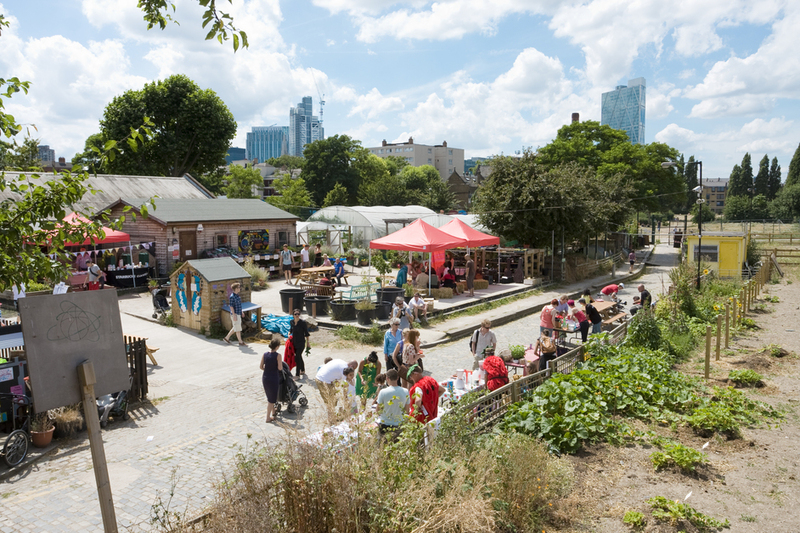 There's loads to do at the 1.3 acre Spitalfields City Farm. Come and meet Bayleaf the donkey and Bentley the goat - just a few of the cute and cuddly animals dotted around this lush, sprawling plot. Other animal residents include a miniature Shetland pony, Kune-kune pigs, ducks, geese and North Ronaldsay sheep. They also have an aviary which is home to a variety of small exotic birds, including budgerigars, zebra finches, and a cockatiel. At the adjacent Spiralfields Community Garden, largely run by farm volunteers, lettuce leaves, potatoes and beetroots are all grown in the veg beds, the place to get your hands dirty and grow your own. There's an outdoor play area and regular events including the hugely popular annual Goat Race which is held every spring. Located just a 10 minute walk from Liverpool Street Station, this is a great place for a back-to-nature East End family outing. The farm entrance is in Buxton Street (next door to Buxton School) and there's pedestrian access opposite the top end of Allen Gardens, a short walk from Buxton Street. What are the best dining options near Spitalfields City Farm London? Spitalfields City Farm gyms, sporting activities, health & beauty and fitness. The best pubs near London Spitalfields City Farm. Spitalfields City Farm clubs, bars, cabaret nights, casinos and interesting nightlife. Where to have your meeting, conference, exhibition, private dining or training course near Spitalfields City Farm. From cheap budget hotels to luxury 5 star hotels see our special offers for Spitalfields City Farm hotels, including 196 Bishopsgate Serviced Apartments from 85% off.